There are duties and obligations you must meet before driving or keeping a vehicle on the road. You must also inform the Driver & Vehicle Licensing Agency (DVLA) of any changes to your personal or vehicle details. If you’re convicted of a motoring offence, the courts can fine you and endorse your driving licence with penalty points. Endorsements must stay on your driving licence for four or eleven years depending on the offence. Each endorsement has a unique offence code and is allocated ‘penalty points’ on a scale from one to eleven, depending on the severity of the offence. The endorsement (and penalty points) is updated on your driver record and written on your paper driving licence or the counterpart document of your photocard driving licence. 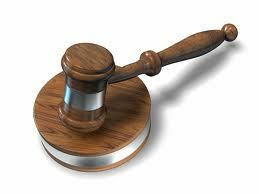 Example: Date of conviction is 3 December 2002 - the endorsement must stay on the licence until 3 December 2013. Example: Date of conviction is 28 May 2004 – the endorsement must stay on the licence until 28 May 2008. Example: Date of offence 10 June 2005 – the endorsement must stay on the licence until 10 June 2009. If you build up 12 or more penalty points within a period of three years, you’ll be liable to be disqualified under the 'totting-up' system. This is shown on your licence as TT99. Information on your driving entitlement and endorsements are sent to the courts and police on request. Your driving licence is automatically revoked (withdrawn) if you build up six or more penalty points within two years of passing your first driving test. You’ll need to produce your driving licence to the police, fixed penalty office (FPO) or when you appear at court. If your driving licence is lost, you can get a duplicate on-line, by phone or by post. If your driving licence is not returned after being endorsed, you’ll need to contact the FPO or court responsible for endorsing your driving licence. If you’ve changed address, or your licence is damaged or the endorsement area is full, the FPO or court will send your driving licence to DVLA to be updated. It will be returned to you within three weeks. You can apply to remove expired endorsements by exchanging your driving licence for a new one. Expired endorsements are automatically removed when you apply to renew or update your licence for other reasons. If you’ve lost your driving licence and need to check your endorsement details you can check on-line (if your driving licence was issued after making an on-line application) or by phoning DVLA customer enquiries. Contact the convicting court for advice. If you’re convicted of a motoring offence, the court can endorse your driving licence with penalty points or impose a disqualification period from driving. They can also order you to resit another driving test. If you’re disqualified for less than 56 days, the court will stamp your paper driving licence or counterpart document and give it back to you. The stamp shows the disqualification period and you don’t need to renew your licence. The licence becomes valid and you can return to driving after the disqualification ends. If you’re disqualified for 56 days or more you’ll need to apply to renew your driving licence before you can return to driving. If you build up 12 or more penalty points within a period of three years, you’ll be liable to be disqualified under the 'totting-up' system. If you're disqualified until test pass or extended test pass, to regain your full driving licence you'll need to apply for a provisional driving licence and retake a theory and practical driving test. If you're disqualified until extended test pass, you'll have to sit an extended practical driving test. To regain your full entitlement to drive all categories of vehicles you previously held, you'll need to pass a test in category B (car). If you’re disqualified for some alcohol related offences, the Driver and Vehicle Licensing Agency (DVLA) will make medical enquiries before your driving licence can be renewed. As well as paying a higher fee to renew your driving licence, you may also have to attend and pay for a medical examination. You’ll need to apply in writing to the court that disqualified you, giving the date of offence, date of conviction and any information to justify your request. If successful, the court will notify DVLA of the decision. You can then apply to renew your driving licence. If the court refuses your request, you’ll have to wait three months before you can ask the court again. There is mutual recognition of driving disqualifications between Great Britain, Northern Ireland, Ireland and Isle of Man. You can notify DVLA of a change of name and address while you’re disqualified. Write to DVLA, Swansea, SA99 1AB giving details of your old and new address, name if changed, your driving licence number (if known) and date of birth.